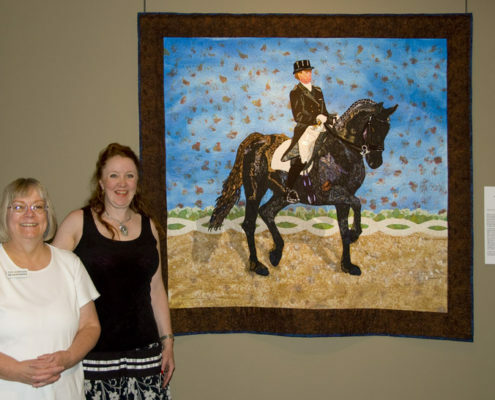 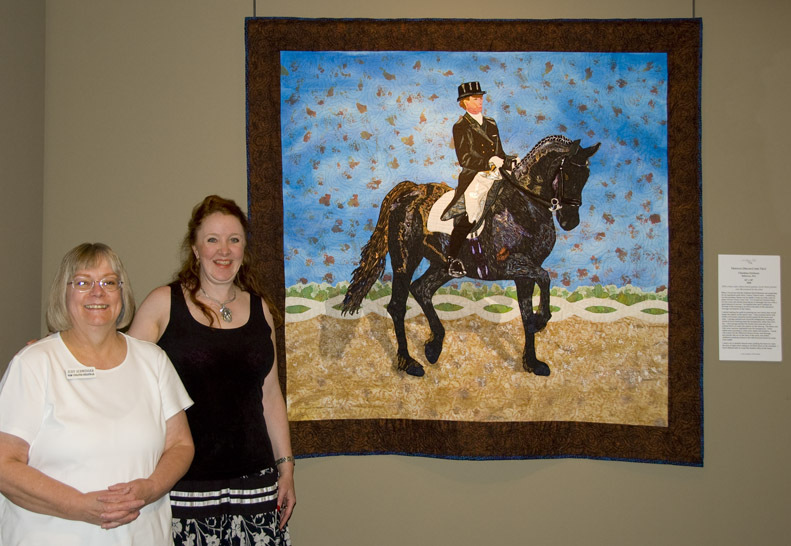 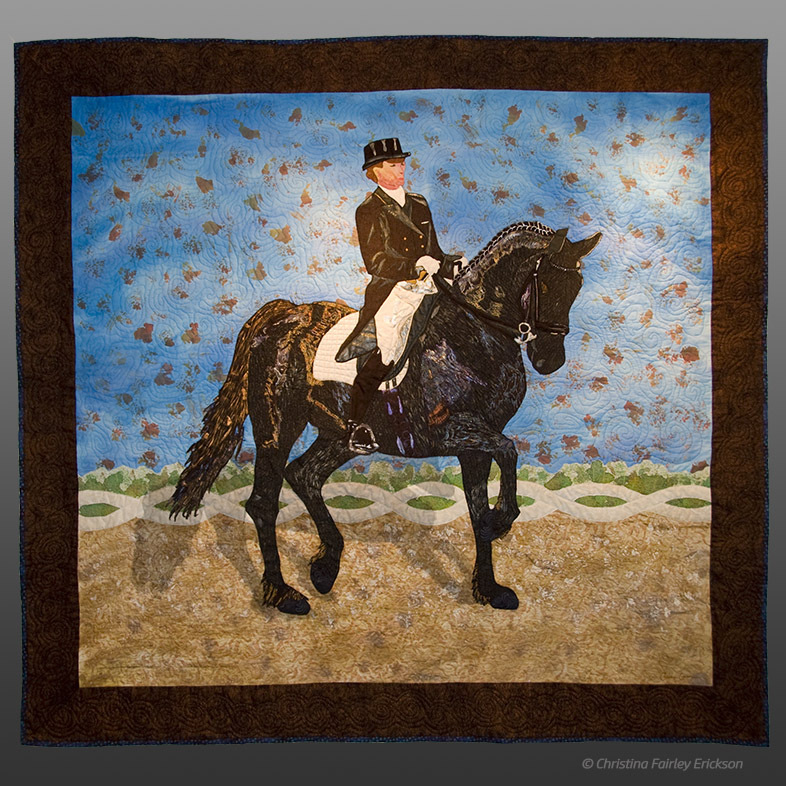 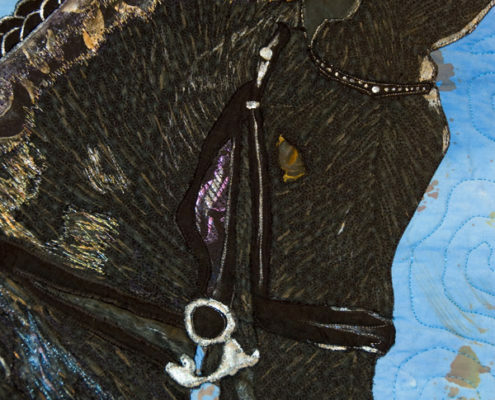 As an avid equestrian and art quilter, I was delighted to bring my two passions together in my quilt, “Friesian Dream Come True” depicting a rider showing her Friesian horse in a dressage competition. 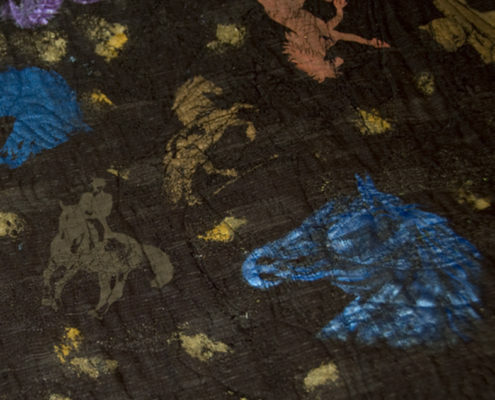 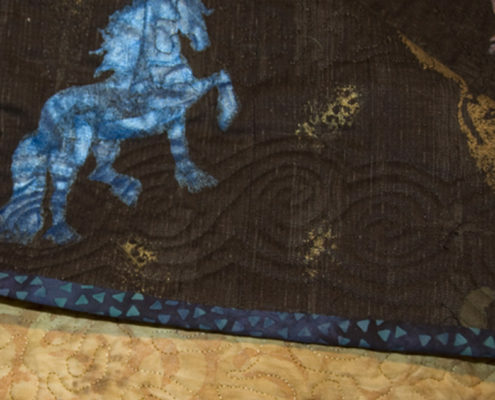 Materials and Techniques: All fabrics other than the border are hand-painted, home-made print block painted, or silk-screened on 100% cotton materials. 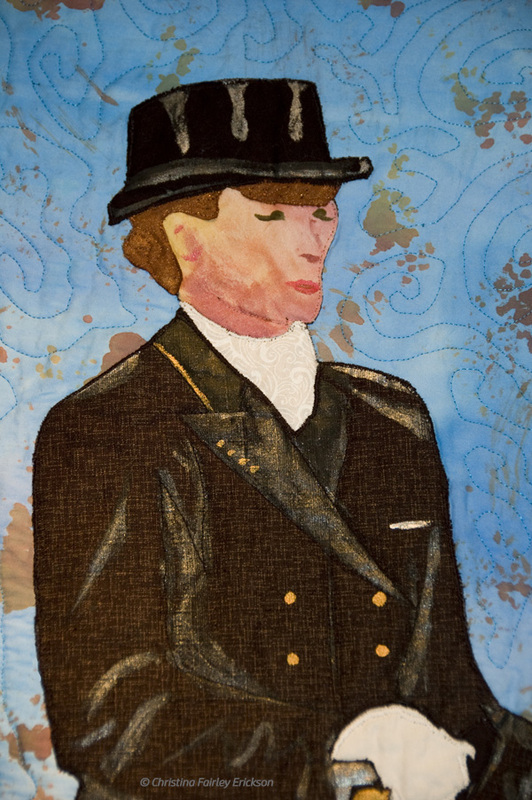 Techniques include machine appliqué and quilting, thread-painting, and use of tulle for shadow. 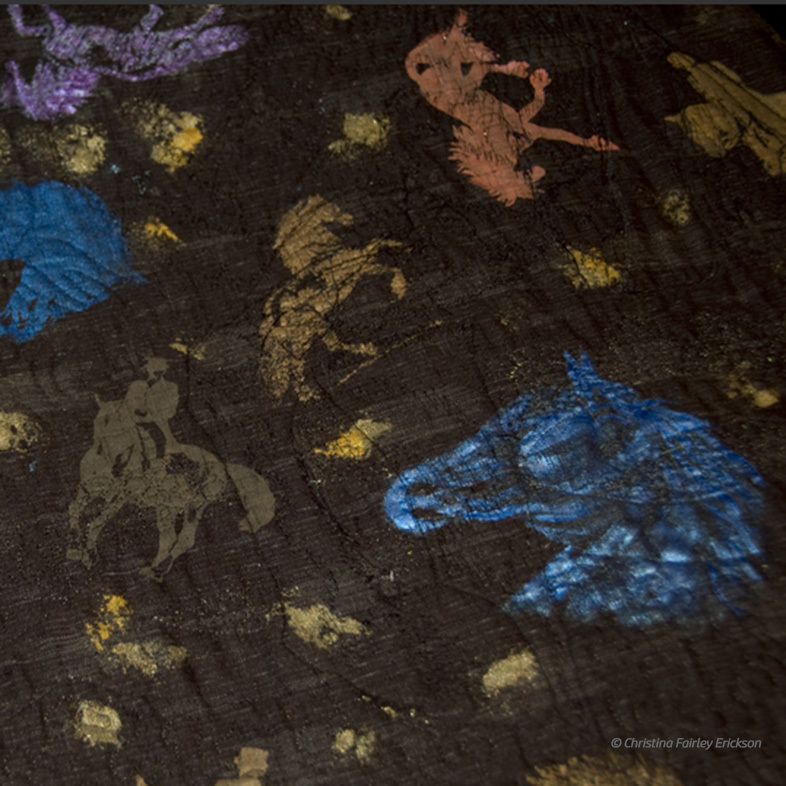 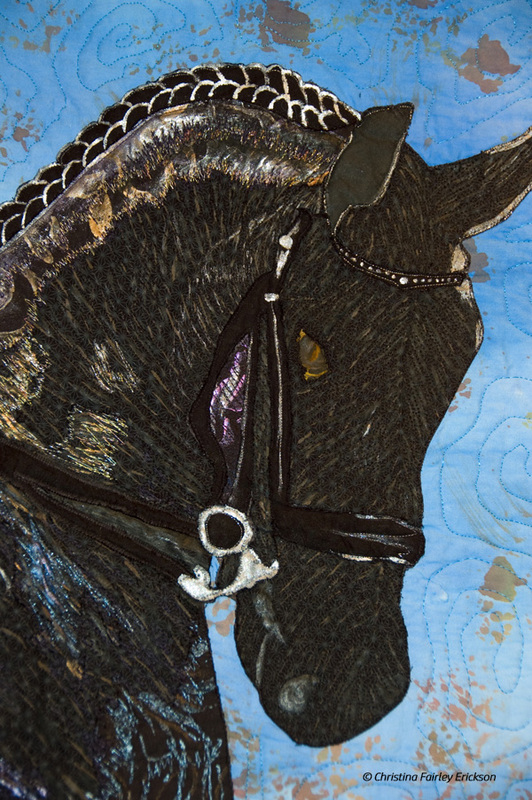 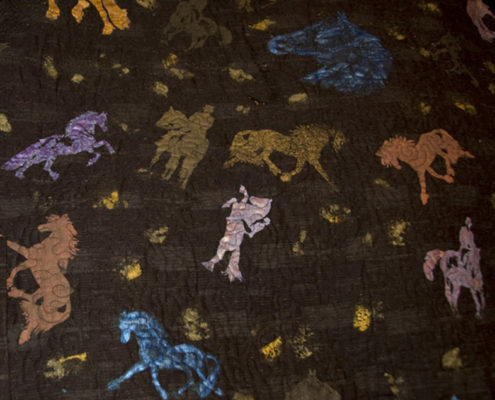 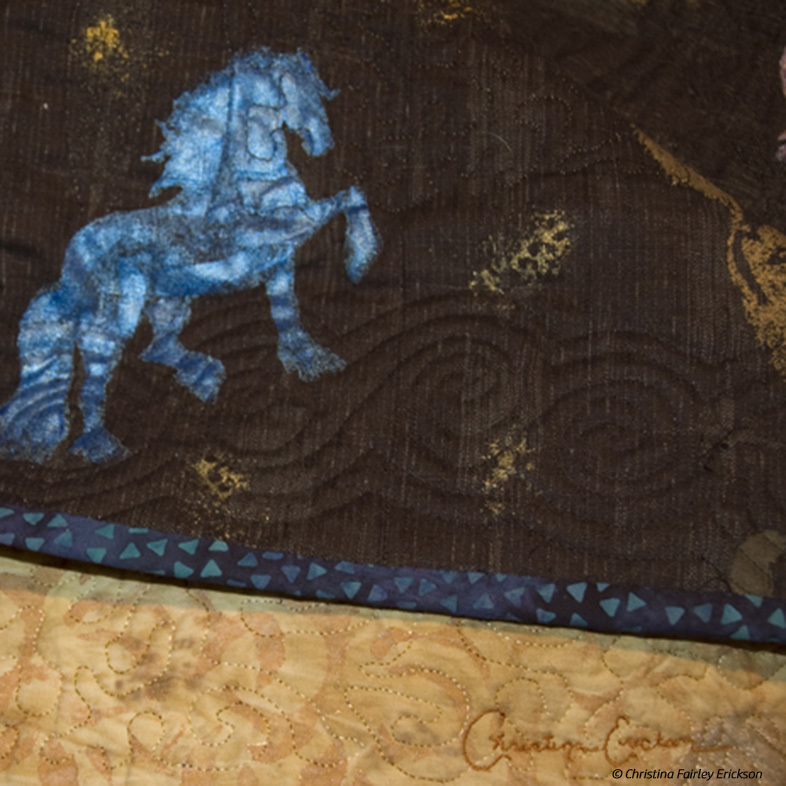 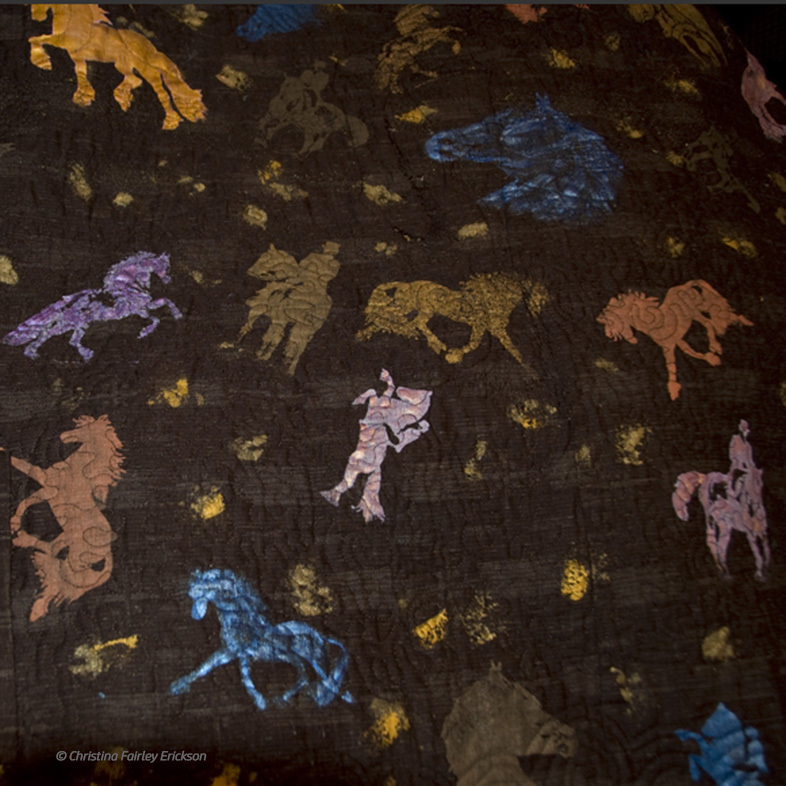 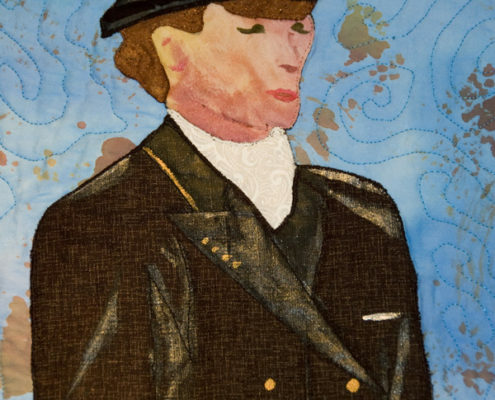 Exhibitions include: “A Horses Tale” at the National Quilt Museum, Paducah KY 2010; Machine Quilter’s West (MQX West) 2011; Association of Pacific West Quilters (APWQ) 2011. 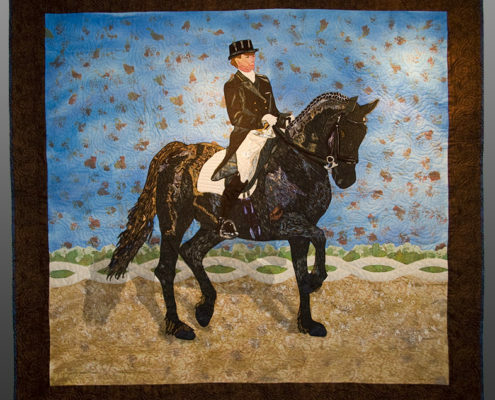 Friesian Dream Come True also was pictured on the National Quilt Museum’s 2010 schedule of workshops and pictured in the Friesian Horse Association of North America (FHANA) newsletter.